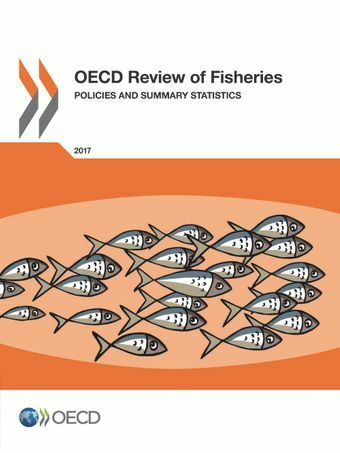 The OECD Review of Fisheries provides information on developments in policies and activities in the fishing and aquaculture sectors of OECD countries and participating economies, mainly for the period 2015-16. This year’s edition includes 35 countries and economies, comprising 28 OECD countries as well as a regional chapter covering developments in the European Union. Also participating in this edition are Argentina, the People’s Republic of China, Colombia, Indonesia, Lithuania, Chinese Taipei, and Thailand. Together, the participants in this Review represent nearly half of global fisheries production, and the majority of aquaculture production. Chapters 1, 2 and 3, known as the “General Survey”, provide an overview of the activities in the sector and outline country summary statistics and key developments in the fisheries and aquaculture sectors. The Country Snapshots in Chapter 4 provide additional country level data and details on institutions and policies based on contributions by participating countries and economies. “Our work affirms the growing importance of aquaculture production, which already exceeds wild-caught fisheries when aquatic plants are included,” said Ken Ash, OECD Director for Trade and Agriculture. “Given the information collected in this report, we expect this trend to continue. However, almost 40% of assessed fish stocks failed to meet management objectives, and many more stocks are still unassessed. There is clearly much room for improvement, and we welcome the additional actions taken by governments to gain control of overfishing,” said Mr. Ash.